UPDATE – Thanks to images we just received, it would appear this rumor is confirmed. Included below are looks at the six additional character models and their character select images. 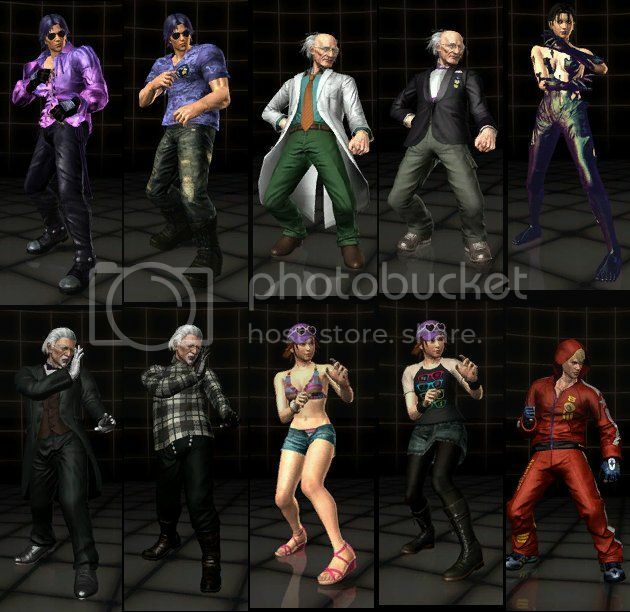 While some of their fighting stances may appear similar to their counterparts (Violet/Lee, Unknown/Jun, Sebastian/Lili, Miharu/Xiaoyu, Bob/Slim Bob) it remains to be seen whether they’ll act as distinct characters or mere palette swaps, though there’s a good chance it will be the former. We’ll keep you updated as more information regarding their mechanics and distribution becomes available. While the list of characters already confirmed for Tekken Tag Tournament 2 is staggering to say the least, there may be a few more waiting to be discovered within the game’s code. Yesterday, rumors started to make the rounds that data for six additional cast members was found by eager players with early copies of the upcoming fighter. In an effort to avoid spoiling anyone, we’ve posted the list below the following images. Remember, this is merely a rumor at this point, but one that should be confirmed or disproven within the next couple of days. Miharu is Ling Xiaoyu’s best friend. She’s previously been playable only as a palette swap for Xiaoyu in Tekken 4. It’s recently been revealed that she appears in four different endings (Alisa, Kuma, Panda, Xiaoyu) in Tekken Tag Tournament 2. Doctor Boskonovitch is a fan favorite of the Tekken series. While he makes an appearance in almost every game and has had a hand in creating Alisa, Roger, Alex, and Prototype Jack, he has only previously been playable in Tekken 3. He uses moves from a variety of other characters, but is also prone to collapsing multiple times during a fight. He appears during a meeting of older Tekken characters in Wang’s Tekken Tag Tournament 2 ending. Slim Bob is merely a version of Bob that appeared in his Tekken 6 ending, wherein he realizes he accidentally lost all his weight after winning the tournament and getting caught up in the fame that came with it. Sebastian is Lili’s butler. His single appearance thus far in the Tekken series has been during Lili’s ending in Tekken 5: Dark Resurrection. Violet is the dapper alter-ego of Lee Chaolan that appeared in Tekken 4. Lee has already been confirmed as part of the Tekken Tag Tournament 2 cast, and Violet appears to be in charge of the Fight Lab. Unknown’s first appearance came in the first Tekken Tag Tournament, and has most recently served as a boss character in the Tekken Tag Tournament 2 arcade release. 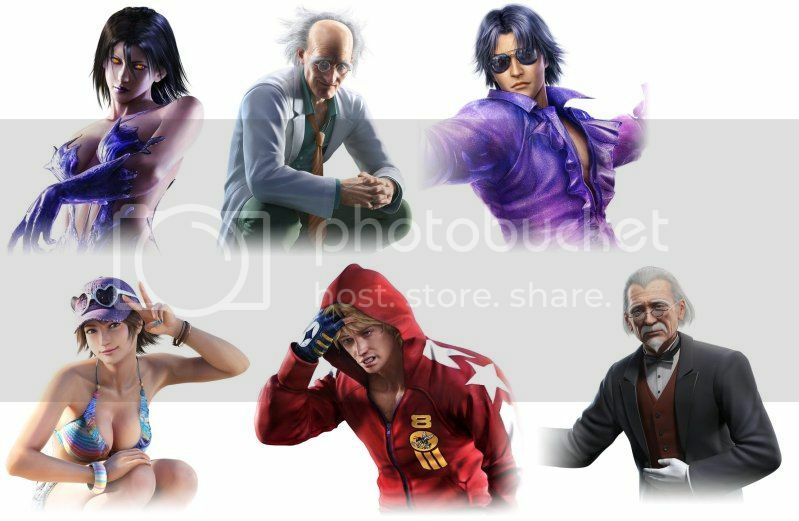 If this rumor turns out to be true, Tekken Tag Tournament 2’s roster will include over 60 characters. It’s also entirely possible that a majority of these could turn out to be palette swaps or alternate costumes. Let us know in the comments what you think!